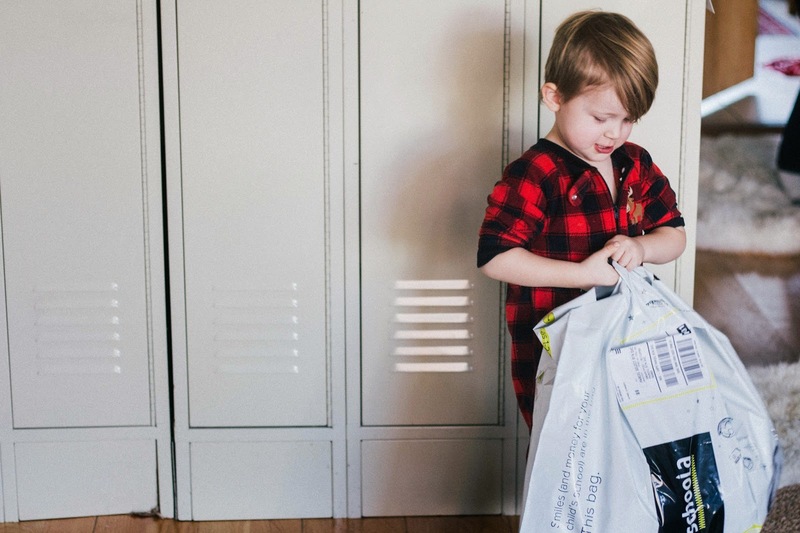 I'm so pleased to be kicking off the new year with a sponsored post from Schoola, an online shop dedicated to recycling brand-name children's clothes, with $2 of every $5 going to support school programs. Because it is the perfect timing! Because, January. Well, January makes me itchy. And also because my kid has somehow become a giant in the last few months. Now, your mileage may vary, but my kid has been a size 2T since he was 9 months old. My kid was a fatty. And oh gosh was it delightful, that squoosh against the midsection kind of fat that sort of melts against your hips, and oh golly even just thinking about that fat and I start to get really mad at my uterus. Because of his early start in fatness, my kid hasn't been well-versed in the growing-out-of-things. He just sort of grew into and upward into the things he already owned, so that things always fit him, every winter things somehow still fit him, only maybe a little bit differently than the year before. Until the last few months, that is, when suddenly there were three inches of ankle poking out from the bottoms of his skinnies and I had to rub my eyes in wonder. "What's this? Are you growing?!?" Oh time, you old jerk. 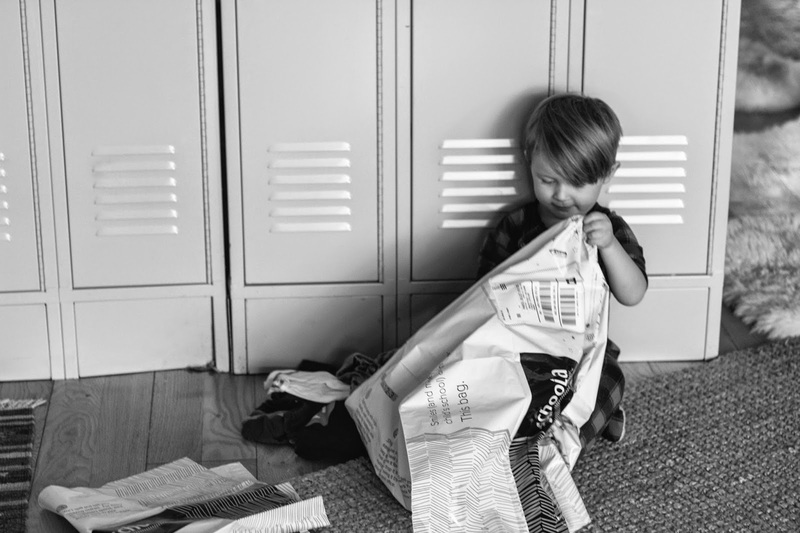 We piled up a stack of Huck's too-short skinny jeans and a few dozen too-tight t-shirts, miraculously all in really great shape, and then Huck stuffed a Schoola bag full (it came with a pre-paid shipping label included!) and we sent it all off to Schoola, to find another life with another great kid, and to help fund a few important school programs in the process. You can request your own bag HERE. And please do! Schoola is dedicated to putting paintbrushes, books, baseballs and violins back into the hands of school kids. 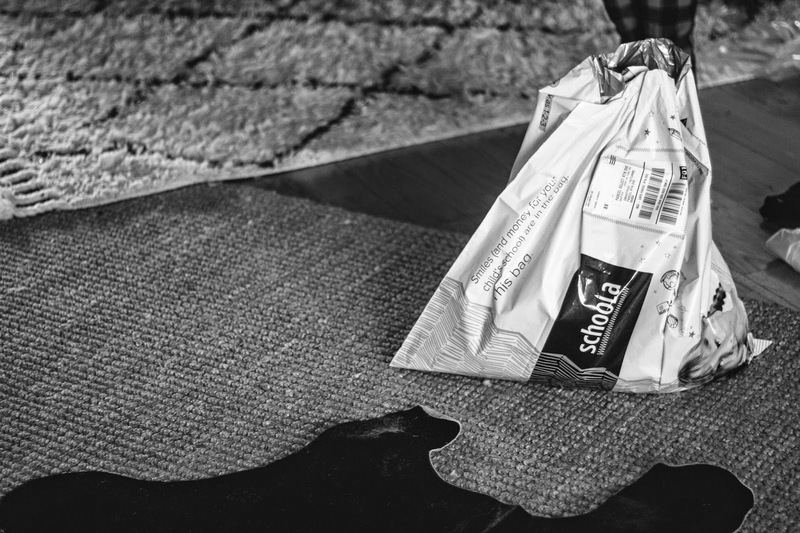 You send in your kids' gently used clothing and accessories, Schoola resells it on their site at amazing prices, and schools receive the proceeds from every item sold. Schoola proceeds are going toward 6,000 schools so far and growing. Yours might be one of them! 1. Go online to Schoola and request a donation bag HERE. 3. Challenge three friends or family on social media to do the same using the hash tag #passthebag. 4. Feel good about yourself because you're awesome. 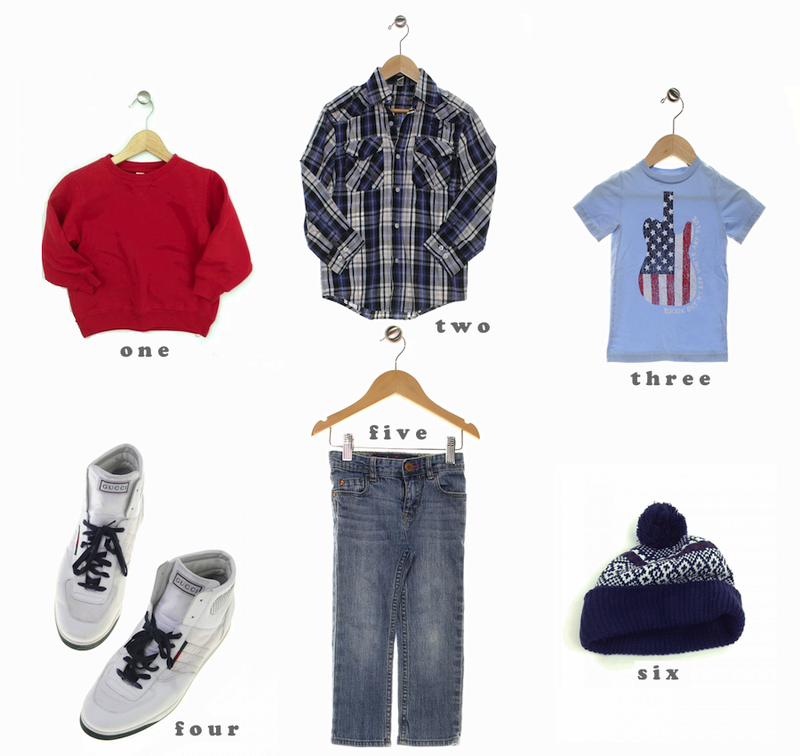 Huck + I browsed through the site just now to put together a school outfit that's Huck-approved, based on offerings from Schoola right now. Let's see, we got . . . The kind of undershirt a boy can be proud of. A flannel worn as shirt slash jacket, because you never know. A beanie with a pompom, since those make Huck happy. Girl's skinny jeans, because I always buy Huck's jeans from the girls section (#skinnybumproblems). This post has been sponsored by Schoola. It's so fun for us to work with such neat woman-owned companies that are thriving while giving back to their communities. Thank you for sponsoring us, Schoola! And thank you as always to our readers who are pretty kickass and always help to support these wonderful companies with their cute click-y fingers. Thank you to you all. And happy weeding! Ah, cleaning the closet. Huck looks like a good little helper. Glad to see you in the blogging world again. I'd love to shop Huck's old clothes and support his school, if they're still available on Schoola. Can you send me the link?